I love reading different translations of the Bible. I do have an old faithful, plain-ole worn-out Bible with no extra bells and whistles that I use for my God time. But I also have several devotional-type Bibles with commentary. My favorite has always been my Apologetics Bible up until now. I have had my eye on this American Patriot’s Bible for quite some time before I had the great pleasure of reviewing it for Thomas Nelson. When I received it I began looking through the 48 beautiful colored page inserts of rich American history. Besides the amazing inserts there are 80 full page articles and 70 half page articles, 104 quarter page articles, and 66 book introductions. The hard cover format of this version makes it a very nice homeschool resource. It’s binding and pages are durable and a very nice quality that will hold together through many hours of study and little fingers flipping through the pages. We have used this many times to look up events, people and places from our studies. My kids have really enjoyed just flipping through and looking at the references, quotes, historic events, presidents, US facts, patriotic symbols, etc. I also enjoy being able to look up Bible verses associated with our history studies and have a significant event, person, fact, or quote associated with it. I took this Bible to church with me and was highly distracted from the service. It’s not the best Bible for following allow with the scriptures in a service even though it is a large font. The “extras” in the Bible make it challenging to stick to following a scripture without getting distracted. This Bible is more of a Bible to use for home studying our founding fathers and get back to the roots of why our nation was created in the first place backed up by scripture. It will definitely give you a better understanding and patriotic outlook on our nation. It also kind of stirred that anger inside of me that our nation and its people don’t seem to care where we came from and the realization that our nation is falling apart. You can purchase the American Patriot’s Bible from Amazon. Disclaimer~ I was sent this Bible as a member of the Booksneeze bloggers program for review purposes. Opinions are my own. Categories: Book reviews | Permalink. No Wonder They Call Him the Savior by Max Lucado, one of his earlier books, has been republished in 2011. It is my mission to read all of Max Lucado’s books, as I just really love his style of writing and the heart-felt, honest way that he “lets” us as readers all be human, but challenges us to strive to be everything we were intended to be as kids of the Heavenly Father who made us. I also love that most of his books are written in small bite-sized chapters that are easily studied as in-depth as you want to go with a meaty study-guide included in the back for use if you choose. First time through this book, I enjoyed the imagery I got from Max describing Jesus in the flesh. I took to heart the fact that Jesus was thirsty, exhausted, frustrated, angry, and joyful. I allowed myself to take a good look at the Cross: It’s Words, It’s Witnesses, and It’s Wisdom (the three parts this book is divided into.) I closed my eyes, and imagined that Jesus was who the Bible says He was, as I read through the thoughts and ideas written down here in plain and simple words. I also “saw” the disciples, his friends, and the people we know surrounded Him, wrote about Him, and who kept their promise to tell the world about Him after he was gone. I love the mix of Scripture, Bible stories, and modern applications. I love the way things are explained, and the questions that are asked. I love the images that are brought to mind through descriptive illustrations and stories. On my second read through this book, highlighter and zebra pen in hand, I am taking a look at some deeper hidden jewels that are in every book I’ve ever read by Max Lucado. This is the part, in my opinion, that makes him a most successful author, pastor and teacher. You can read his words, ideas, interpretations, conversations, teachings, chapters, sentences, and books as a quick pick-me-up inspiration, or can take it to a deeper level, picking out the theological principles that are there in plain English. This is definitely one of my favorites I’ve read from Max Lucado, and would certainly recommend to others. * I received this book from Thomas Nelson from their BookSneeze program in exchange for an honest review. No other compensation was received, and opinions are my own. His Mighty Warrior~ A Treasure Map from Your King by Sheri Rose Shepherd is an incredible book to share with a young man in your home or give as a really great gift to an elementary aged guy. I was delighted to be able to review this book, because I have several other books by this author which take on the format of “love letters” from God written to His Princess Bride, His Princess Warrior, and His Princess. Just as with the other books I own by the same author, this book is a padded hardcover, with thick pages that are beautifully illustrated. Levi particularly likes the antique-looking treasure map which takes up two pages in the beginning of the book. Taking on a treasure-hunting, island, ship/boat, pirate adventurer theme, there are 50 letters addressed to: My Warrior, My Son, My Chosen Warrior, My Boy, My Brave Warrior, or My Mighty Warrior, about topics such as character, words, family, protection, anger, mother’s love, fear, friends, caring for yourself, salvation, and many others. After a short letter signed by God in a way appropriate for the topic of discussion, there is a Bible verse, then on the opposing page, a prayer. I love that the letters are short and to the point, and completely applicable to every young man’s growth and development. I also love that the book is colorful and the illustrations full of adventure and exploration. Levi will be enjoying this book for years to come, and I will be giving some as gifts to special young men as well. ~To read an excerpt from this book click here! *I received this book from WaterBrook Multnomah Publishing Group as a member of their Blogging for Book program in exchange for an honest review. No other compensation was received, and opinions are my own. I love devotionals. It’s nice to be able to pick up a book in the midst of my crazy-busy life and be reminded how much God loves me. Of course my Bible does the job, but sometimes it’s nice to have some additional stories and ideas and encouragement to go along with it. When I received 40 Ways to Get Closer to God, I especially loved its compact size. The book is divided into short little chapters which lead you through a 40 day journey, each concentrating on a specific topic or idea. Beginning with a quote, then taking you through a couple of pages of focus on the subject, each day ends with “Today’s Challenge”, a place to check off that you’ve completed the challenge, and a few lines for notes. This little book is meant to be used, written in, studied alongside your Bible, and your life. There are some great life application stories in the book, as well as some nice encouragement, scriptural lessons, and thought provoking questions. There are also some great ideas and activities for practical ways to live a life of fulfillment, serving others, and drawing closer to the Heavenly Father. My personal opinion of the book- a little dry, and nothing really “new” to me here as a Bible study-devotional-christianbook connoisseur. But that’s not to say it’s not a great little book. It would be especially good for a new christian, couple study, young adult, or even something to share with your older kids- using it in homeschool or family time. It would also make a super gift for a new grad, or any other Christian friend or family. *I received this book from Bethany House in exchange for an honest review. No other compensation was received and opinions are my own. If you’d like to review books for Bethany House, click here! As Silver Refined ~ Answers to Life’s Disappointments by Kay Arthur opens with an introductory chapter entitled The Refiner and His Fire in which the author takes us back to a Judean village in ancient days where we experience a craftsman taking an impure ore and firing it into a pure and valuable silver in which he can see a clear image of himself, distinct and sharp. From here, the author takes us on a journey in which God is the refiner and we are His silver. In the 15 chapters of this book, Kay Arthur speaks directly to the reader through scripture, stories, poems, analogies, and insightful answers to some hard and thought provoking questions. She covers many different aspects of disappointment and discontentment. She advises that it would be wise to learn the strategy of the enemy, and goes on to describe the “deadly D’s”: distraction, deception, disappointment, discouragement, dejection, despair and demoralization. 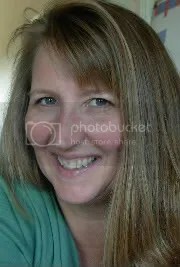 She share how these create a downward spiral of deepening defeat and disorder until hope is entirely abandoned and is replaced by apathy and numbness. She then prepares us for war by sharing battle strategies. She tells us to believe God no matter how we feel or what we think, and to simply change the ‘D’ of disappointment to an ‘H’ and add a space, turning disappointment into His appointment. Her play on words, clever analogies, heartfelt prayers, sound advice based on solid scripture, and very complete study guide at the end of this book makes it one worth buying a new pack of highlighters for. It is great for personal study time, but will have you thinking about who you will pass it along to next. It would make a wonderful group study as well. This book does more than just candy-coat life’s disappointments, it helps us see how God’s cleansing fire makes us as silver refined to reflect His image. It helps us embrace life’s disappointments as stepping stones to a more pure and satisfying life. 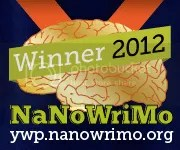 * I received this book as a member of the Blogging for Books program from Waterbrook Multnomah Publishing Group. I was not required to write a positive review, and opinions here are my own. 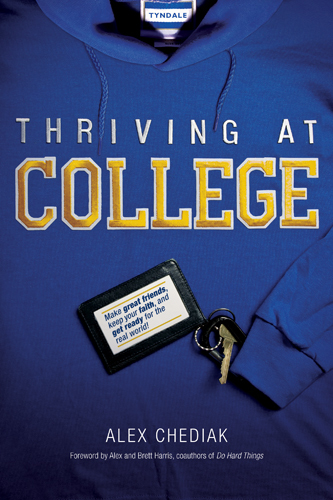 My review of Thriving at College by Alex Chediak is way overdue, as I got this book last spring before school was out. I’ve had a terrible time getting through this book, not because it’s a bad book, but because it is so chalk-full of fabulous information that I kept getting hung up reading and re-reading so much of it to be sure and take in as much as I could while making notes to use it as a tool to share with my children as they prepare for college. As I began reading this book, I realized right away that I would be using it as a learning resource for college prep. After 9 years in college, I could certainly relate to and fully understand most if not all of the situations, challenges, incidents, feelings, relationships, study tips, schedule hints, and lifestyle/faith survival skills. That’s probably another reason why it was such a slow read for me. But how to pass these sometimes hard-learned tips onto my own kids? Well, here is the answer. This is a well-written and personalized guide to living , surviving and thriving during the best years of your life (so far), keeping the faith, developing meaningful relationships, choosing the right major and how to study for it. This book is a complete guide on how a christian student can be successful in college. This book is full of scriptural reference, questions from real college students in real situations with down to earth answers from experience by the author, interesting “factoids” interspersed throughout the chapters, and discussion starters a the end of the chapters. It’s divided into 4 parts, with the chapters being “Common Mistakes” listed. Appendix 1 has a great rundown of the college selection process, and Appendix 2 discusses “Do You own your Christian Faith?”. While this book came onto the market last spring (April 2011) at the perfect time to give new graduates, I believe it would certainly be well received as those new college students begin their semesters, as well as for high schoolers (especially homeschoolers!) preparing for college at any time. I will most definitely being buying multiple copies of the book to give as a valuable gift to graduates, high school students and new college students for years to come. * I was sent a free copy of this book in exchange for a review by Tyndale Media as a part of their blogging program. No other compensation was received, and opinions expressed in this blog post are my own. Categories: Book reviews | Tags: college prep, graduation, high school, homeschooling | Permalink. 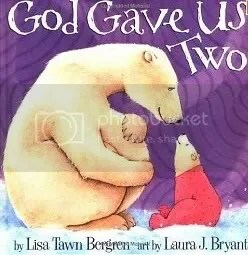 God Gave Us Two by Lisa Tawn Bergren has the same adorable bear family characters as in other books by the same author, but this time they are about to add a new little bear cub to the family. Throughout the book, Little Cub has many questions about the new baby in her momma’s tummy, which are answered with loving reassurance by her parents. Whether you’ve read the previous book God Gave Us You to your child or not, this book will be a joy to read to any child about to become a new big sister or brother. It will help them understand that they will still be as special as ever to Mom and Dad once the new baby is born. “He gave us you, now he’s given us two!” is a recurrent theme throughout the book, helping Little Cub get used to the idea of adding a new little brother or sister to the family. In the end, Little Cub gets a really big surprise as she greets not one but two new siblings. This could potentially be a bit confusing to the child, since they end up having twins, but another lesson in life- you never know what you’re gonna get! Now “He’s given us two,” takes on another meaning altogether! Would be especially great for a family about to welcome twins, but still a wonderful, gentle way to welcome a new addition to the family. The illustrations are absolutely adorable, and the story just the perfect length for bedtime, or to read over and over throughout the day. I can’t wait to give this as a gift to a precious family with a special little girl who is just about to become a big sister! *I received this book from WaterBrook’s Blogging for Books program in exchange for an honest review.